I tried to add Southern Region but it crashed. I'll have to do it again to generate a new crash log, which I can't do on my active profile as I'm in the middle of a run to Baku on YKSRSK. Do either of those connections include the Georgian Military Road? I actually don't know that, but why don't you ask that question on the RoEx forum. alternate road connection include a VERY beautiful forest road, so go check it out. Both of them end in the southern part in Georgia though, right outside Kutaisi. I have also found invisible wall. There is no translation of city names into English for version 7.8? 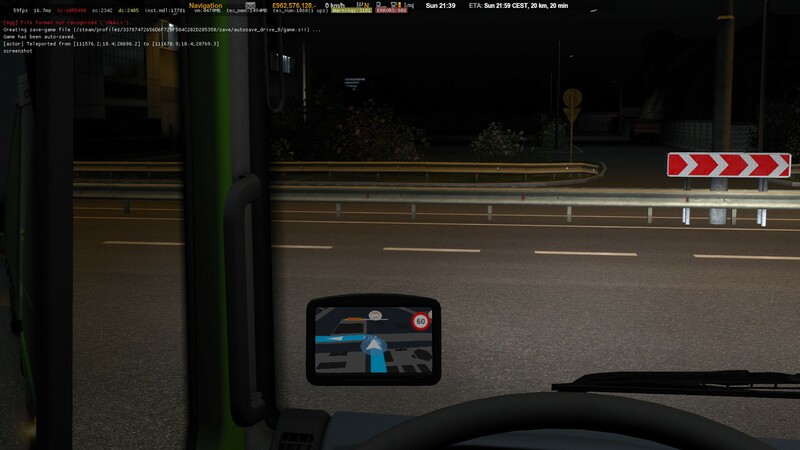 I have promods + RusMap + SRMap. Where should I put the translation in the Manager Mod?